Wayne Walsh SC may have started his life on a South Canterbury farm, but his international law career has spanned continents. Walsh, an international law deputy law officer for the Hong Kong Department of Justice, has taken the lead in negotiations to build a network of treaties with other countries following the former colony’s return to China two decades ago. Walsh has returned to South Canterbury to receive a prestigious award from his former school. The former Timaru High Boys’ School student (1971 to 1975) and head boy will be presented with the 2016 Teschemaker Cup on Monday, recognising his achievements and international prominence. It was a great honour, as the school had had quite an impact on him, Walsh said. “You have a moral compass that becomes ingrained in you. 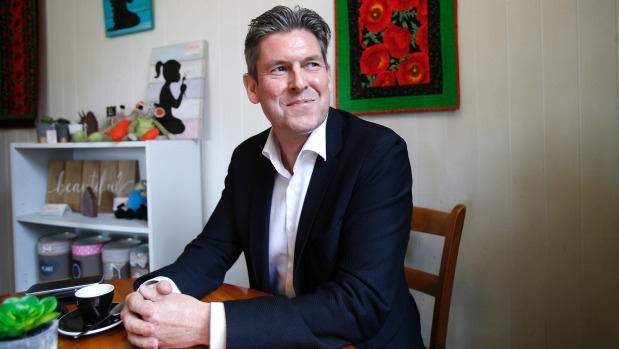 His career has taken him from working as a police officer in Hong Kong three years – “you’re really working at the coalface of criminal justice” – to his current role, the equivalent of a deputy solicitor-general in New Zealand. “I found that whatever took my passion or interest, I followed and it took me into a number of different areas and places,” Walsh said. He returned to New Zealand for a couple of years after leaving the police to work first with commercial legal firm Russell McVeagh in Auckland, before joining the Serious Fraud Office. When he and wife Nancy moved back to Hong Kong in the early 1990s, it was only a couple of years before the former British colony reverted back to Chinese sovereignty in 1997. Walsh has spent more than 20 years negotiating new treaties, including agreements on extradition and transfer of prisoners, between Hong Kong and other countries, which he is still involved in. The process was challenged by countries, including Australia, which did not recognise Hong Kong as separate from China, keeping Walsh busy with court and policy work, and negotiations. It also created an unusual situation, where many countries had extradition treaties with Hong Kong, but not with China, he said. He has also spent time prosecuting international crime in Asia and Europe, covering issues including money-laundering, bribery, anti-terrorism banking and financing. When former United States intelligence officer Edward Snowden revealed documents on the National Security Agency’s mass surveillance programmes from Hong Kong, the United States government made a request for his arrest and extradition. When Snowden travelled to Russia, the group did not stop him leaving as there was not enough information to warrant his arrest, he said. Walsh said “right now” was the highlight of his career. He is approaching the end of his government service as he nears its retirement age. Walsh has not ruled out returning to the private sector, but his future plans are still undecided.